Gabby Douglas Reunites With Aly Raisman & Simone Biles at NFL Women’s Summit | Alexandra Raisman, Gabrielle Douglas, Simone Biles | Just Jared Jr. This Final Five reunion warmed our hearts in every way possible! 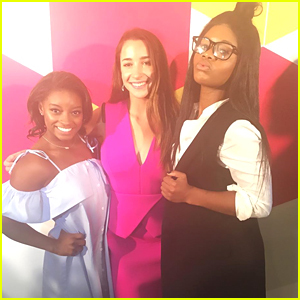 Gabby Douglas, Aly Raisman and Simone Biles all met up with each other at today’s (February 3) NFL Women’s Summit in Houston, Texas. 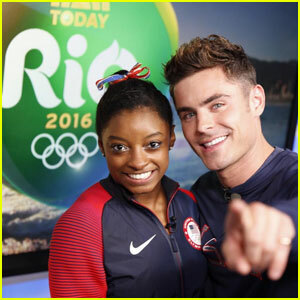 The three gold-medal winning gymnasts snapped a ton of pics together, which Gabby and Aly shared on their Instagram accounts. Simone is also pictured below at several other events over the sports weekend.